It’s time for the Church to move into the 21st century. Here’s an opportunity for the Church to revise its teaching and increase its reach among young people. If the Church doesn’t change, it will get left behind. Peppered throughout the news coverage of Pope Benedict’s resignation announcement are comments like these from “practicing Catholics” who are politicians or common Catholics interviewed on the street. The subtext behind these statements is this: The Church needs to get with the program. 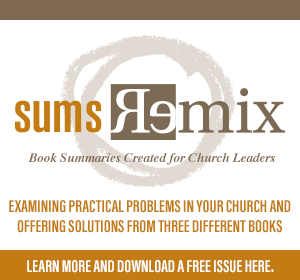 Now, as a Baptist, I have more than a few disagreements with the teaching of the Church of Rome – sola scriptura being the watershed issue from which flows a whole host of other doctrines and practices. Despite overtures from Pope Benedict on the doctrine of justification, Trent still stands (unfortunately). Beyond that, however, I find it interesting that evangelicals are facing the same kind of cultural pressures. If a pastor won’t get with the program and recant his previous opposition to homosexuality, then he’s off the inaugural platform. After all, we’re in the 21st century now! What’s this continued opposition to abortifacient drugs? What’s this old-fashioned idea that kids need a mom and a dad, not two of the same gender? For heaven’s sake, get your head out the clouds and put your feet on the ground! What we see in these conversations are two overarching themes: authority and eschatology. The first is the question of authority. The assumption behind the recent calls for the Catholic Church to change is that Christians belong to a purely human institution that can adjust and tweak its teachings at culture’s beck and call. In other words, cultural consensus is the authority. When Christians are out of line, they ought to pressure their church to modify its teachings to comply with the newfound consensus. But the catholic church (I’m using small “c” catholic now, to refer to the universal church, not the Church of Rome) is not a human organization. The proclamation of the church is that Jesus Christ is Savior and Lord. We believe this to be objectively true. It is not a human label slapped onto a human institution, but a divine revelation taken up and carried by a people called out by God for His missionary purposes in the world. The Church has “no authority” to ordain women. The point is not that we are saying that we don’t want to, but that we can’t. Following (Christ) is an act of obedience. This obedience may be arduous in today’s situation. But it is important precisely for the Church to show that we are not a regime based on arbitrary rule. We cannot do what we want. Rather, the Lord has a will for us, a will to which we adhere, even though doing so is arduous and difficult in this culture and civilization. Appealing to the authority of Christ is exactly the right road to take on these matters. We operate from within a worldview in which Jesus Christ is the Lord who reigns over His people. Because He is King, we cannot tinker with His Word and then glibly go on as if the fundamental truth of our proclamation has remained unchanged. Once you bow to cultural consensus, your declaration of Christ’s lordship is meaningless. It all comes down to this: Who’s in charge? Who is your authority? Then, there’s the eschatology pulsing through these conversations. Don’t make the mistake of relegating eschatology to the bargain bin filled with Left Behind books. We see eschatology all over the place. Consider this comment: When will the church move into the 21st century? That question betrays a very clear notion of time and progress, the idea that history is moving somewhere. But contrary to Piers Morgan’s view of the world, history is not moving in a solely upward direction, as we become more and more “enlightened” and free from the taboos of previous generations. The idea that the church must change because, after all, we are in a new day, and in this day and age, we don’t go for things like that… well, that kind of talk betrays a rival eschatology to that of the church. It puts the climax of history in the Enlightenment of the 1700′s and charts an upward progression. To be sure, things have improved. Technological advances in the past thirty years alone are stunning. And yet, technological progress has its dark side. There is no end to our depravity. Nuclear bombs. Terrorism. Drone attacks. The list goes on. The rival eschatology says, “The world is improving and the church is stuck in the past. 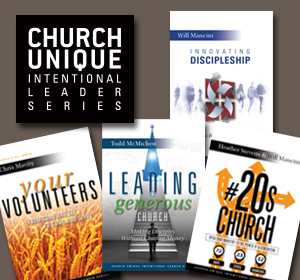 Get it in gear, or get left behind.” Denominations fall all over themselves to follow suit and not run afoul of the cultural zeitgeist, only to discover their sanctuaries emptied of people and their pulpits emptied of power. The world tells evangelicals (and Catholics, it seems), Jump on the bandwagon of cultural progress like all the mainline denominations have. Oh yes, and we can seen just how well that has worked out for them, can’t we? 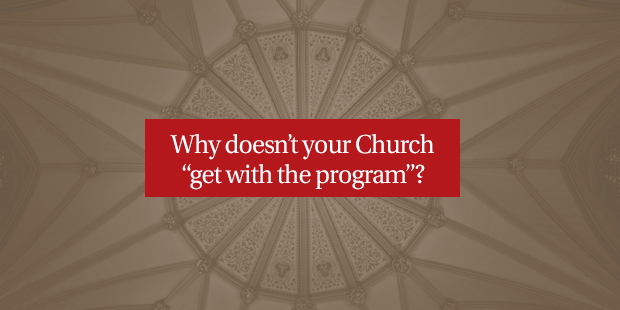 The reason the church can’t afford to “get with the program” is that we already have one. It’s called the Great Commission. It is the program given to us after Christ’s resurrection. We are to go into all the world to preach – however unpopular the message will be – to all nations. But the program stands. King Jesus has summoned us and sent us out. We are not beholden to the authority of “cultural consensus.” Neither are we living according to the fictional eschatological timetable concocted by those who have drunk deeply of Enlightenment philosophy without knowing it. We are a resurrection people. The King has already given us a program. And that is why we can’t get with the world’s.